It will be run in Robina on a Monday night and we are looking for fathers we fit into the category of having kids in the 0-8 year age group. If they have kids a bit older, please still contact us. Download the flyer for more details and a number to contact to find out more information and enroll. We are asking you to either talk to your fathers about this opportunity and encourage them to give us a call and find out about this opportunity. 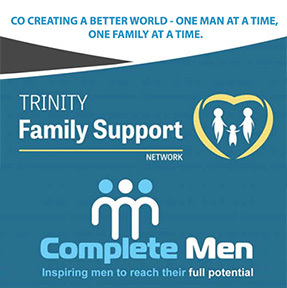 The course is being run by Complete Men and Trinity Family Support Network.